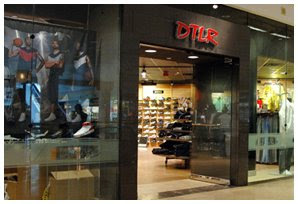 DTLR, the urban fashion store where you can usually here hip-hop music exuding from when you pass it in the mall, is holding voter registration drives at its many locations, including Charlotte. Dates and times are below. When Nelly was in town last week performing his free Myspace concert, while rocking a "Respect My Vote" tank top he summed it up best: "In 2008, if you're 18 and older and not registered to vote then you're a f-ing idiot!"